Awards were presented at the annual Children’s and Family Services Awards Ceremony. 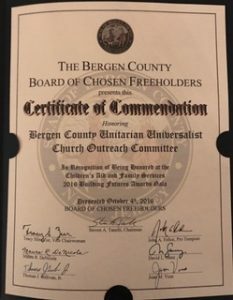 The Certificates are from Congress, The Bergen County Board of Chosen Freeholders, and The County of Bergen. 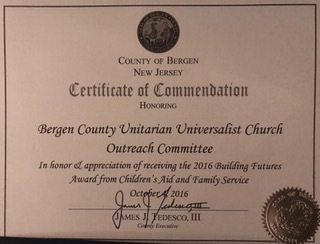 The plaque is from Children’s and Family Services. 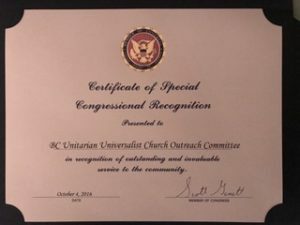 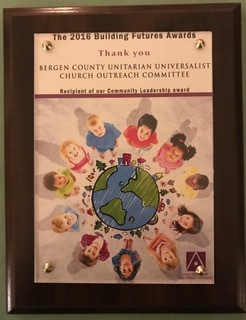 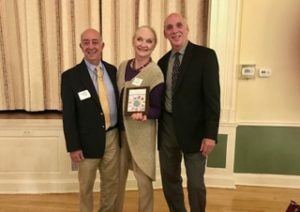 Receiving the awards were the three co-chairs of the auction, Inga Spugen from the Ridgewood congregation, Jeff Merrigan from CUC and Jonathan King from the Unitarian Universalist Congregation of the Palisades.